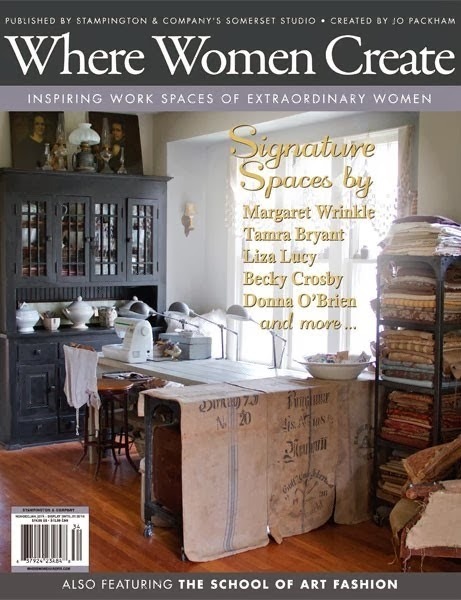 It has been a couple of months since Where Women Create released their winter issue, but our excitement about Tawnya's feature has yet to wane! In fact, 2013 was a fantastic year, since Tawnya also became a licensed artist for Creative Co-Op! Tawnya has had a life-long penchant for creating unique jewelry from collected treasures, but until recently her work could only be enjoyed by those lucky enough to own an original piece. 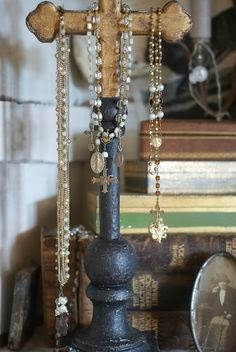 The Embellish Collection by Creative Co-Op now produces jewelry based on her original designs, featuring broken rosaries, antique keys, and other hallmarks of Tawnya's distinct aesthetic. 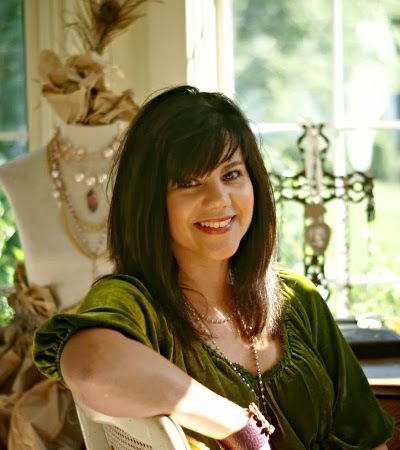 Her jewelry collection, as well as her role as a successful business owner, led the editors at Where Women Create to request to feature her in the issue that would be released in November. After many days staging, shooting, and editing photos and layouts, all we could do was wait. Finally, we were happy to see that Tawnya's feature did not disappoint! Several pages of photos are accompanied by a detailed article, all of which depict the talent and skill that have made Tawnya the successful artist and business owner she is today. 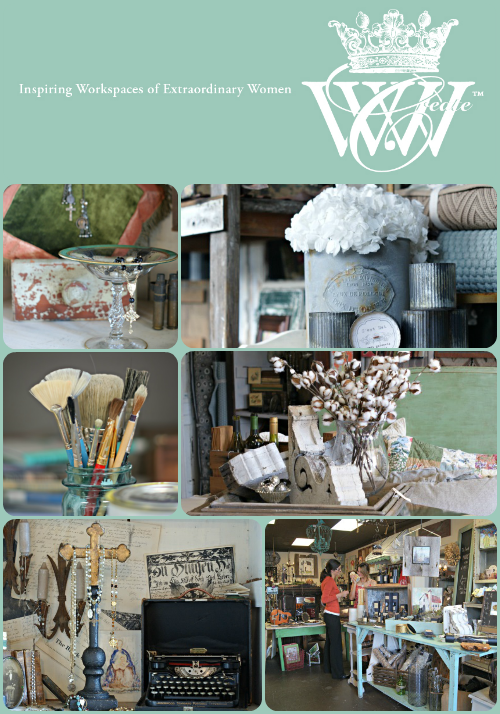 The winter 2014 (Nov/Dec/Jan 2014) issue of Where Women Create will be available through January, so make sure to pick one up and learn a little more about one of Nashville's very own entrepreneurs.